September 30, 2014 (Tony Cartalucci - LD) - The "Occupy Central" protests in Hong Kong continue on - destabilizing the small southern Chinese island famous as an international hub for corporate-financier interests, and before that, the colonial ambitions of the British Empire. Those interests have been conspiring for years to peel the island away from Beijing after it was begrudgingly returned to China in the late 1990's, and use it as a springboard to further destabilize mainland China. Behind the so-called "Occupy Central" protests, which masquerade as a "pro-democracy" movement seeking "universal suffrage" and "full democracy," is a deep and insidious network of foreign financial, political, and media support. Prominent among them is the US State Department and its National Endowment for Democracy (NED) as well as NED's subsidiary, the National Democratic Institute (NDI). 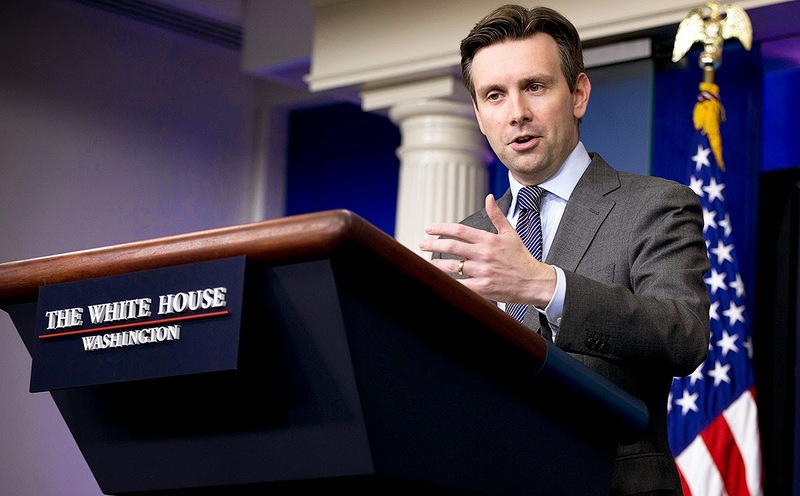 The White House is watching democracy protests in Hong Kong closely and supports the "aspirations of the Hong Kong people," White House spokesman Josh Earnest said on Monday. " The United States supports universal suffrage in Hong Kong in accordance with the Basic Law and we support the aspirations of the Hong Kong people," said Earnest, who also urged restraint on both sides. US State Department Has Built Up and Directs "Occupy Central"
It should be no surprise to readers then, to find out each and every "Occupy Central" leader is either directly linked to the US State Department, NED, and NDI, or involved in one of NDI's many schemes. 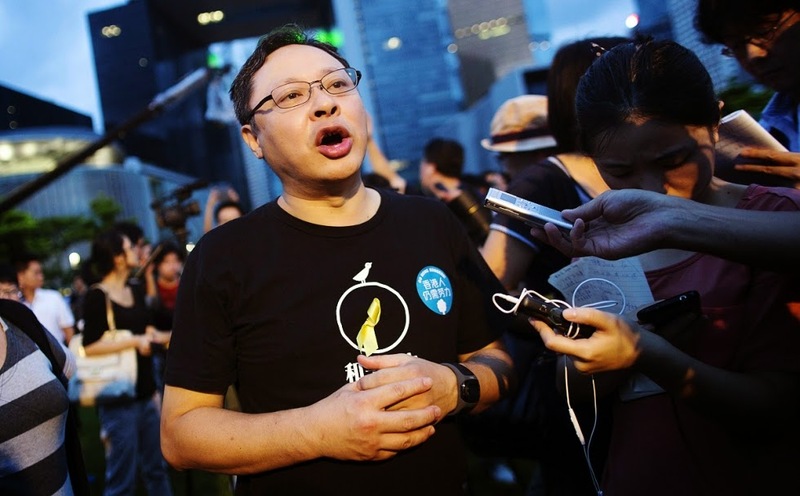 "Occupy Central's" self-proclaimed leader, Benny Tai, is a law professor at the aforementioned University of Hong Kong and a regular collaborator with the NDI-funded CCPL. In 2006-2007 (annual report, .pdf) he was named as a board member - a position he has held until at least as recently as last year. In CCPL's 2011-2013 annual report (.pdf), NDI is listed as having provided funding to the organization to "design and implement an online Models of Universal Suffrage portal where the general public can discuss and provide feedback and ideas on which method of universal suffrage is most suitable for Hong Kong." Curiously, in CCPL's most recent annual report for 2013-2014 (.pdf), Tai is not listed as a board member. However, he is listed as participating in at least 3 conferences organized by CCPL, and as heading at least one of CCPL's projects. At least one conference has him speaking side-by-side another prominent "Occupy Central" figure, Audrey Eu. The 2013-2014 annual report also lists NDI as funding CCPL's "Design Democracy Hong Kong" website. Civic Party chairwoman Audrey Eu Yuet-mee, in addition to speaking at CCPL-NDI functions side-by-side with Benny Tai, is entwined with the US State Department and its NDI elsewhere. She regularly attends forums sponsored by NED and its subsidiary NDI. In 2009 she was a featured speaker at an NDI sponsored public policy forum hosted by "SynergyNet," also funded by NDI. In 2012 she was a guest speaker at the NDI-funded Women's Centre "International Women's Day" event, hosted by the Hong Kong Council of Women (HKCW) which is also annually funded by the NDI. 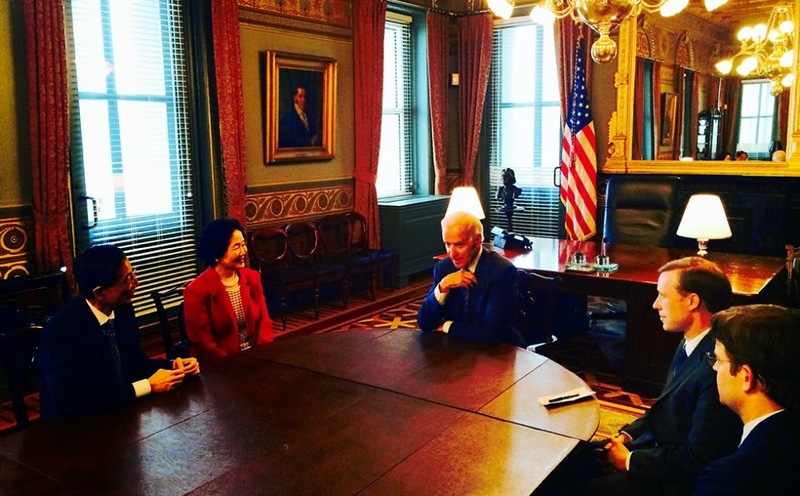 Image: Martin Lee and Anson Chan belly up to the table with US Vice President Joseph Biden in Washington DC earlier this year. During their trip, both Lee and Chan would attend a NED-hosted talk about the future of "democracy" in Hong Kong. Undoubtedly, "Occupy Central" and Washington's support of it was a topic reserved for behind closed doors. There is also Martin Lee, founding chairman of Hong Kong's Democrat Party and another prominent figure who has come out in support of "Occupy Central." 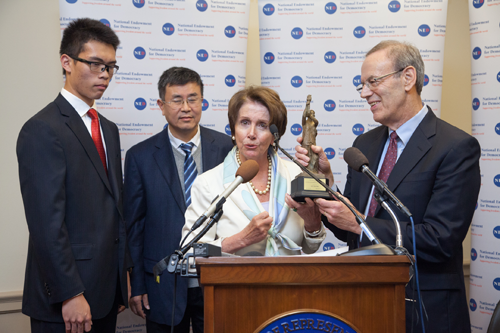 Just this year, Lee was in Washington meeting directly with US Vice President Joseph Biden, US Congresswoman Nancy Pelosi, and even took part in an NED talk hosted specifically for him and his agenda of "democracy" in Hong Kong. Lee even has a NED page dedicated to him after he was awarded in 1997 NED's "Democracy Award." With him in Washington was Anson Chan, another prominent figure currently supporting the ongoing unrest in Hong Kong's streets. If democracy is characterized by self-rule, than an "Occupy Central" movement in which every prominent figure is the benefactor of and beholden to foreign cash, support, and a foreign-driven agenda, has nothing at all to do with democracy. It does have, however, everything to do with abusing democracy to undermine Beijing's control over Hong Kong, and open the door to candidates that clearly serve foreign interests, not those of China, or even the people of Hong Kong. 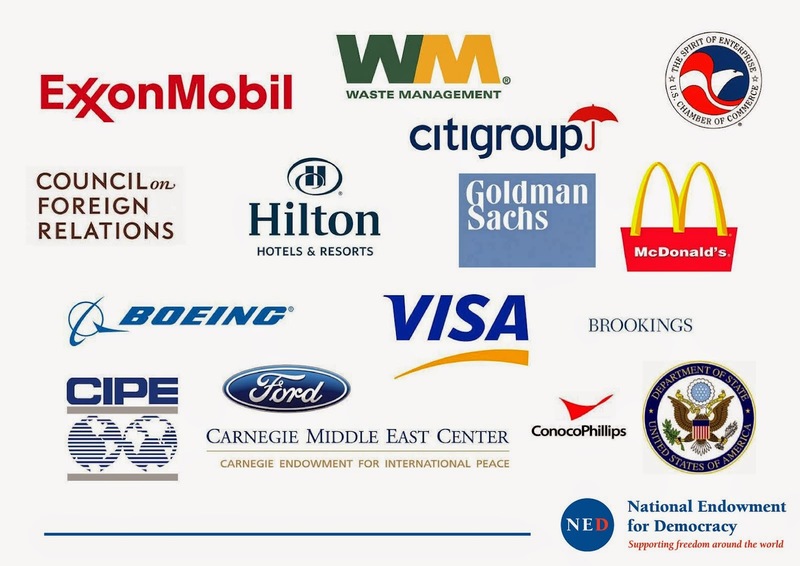 Image: The National Endowment for Democracy and its various subsidiaries including the National Democratic Institute, are backed by immense corporate-financier interests who merely couch their hegemonic agenda behind "promoting democracy" and "freedom" worldwide. Above is a representation of the interests present upon NED's board of directors. What is more telling is the illegal referendum "Occupy Central" conducted earlier this year in an attempt to justify impending, planned chaos in Hong Kong's streets. The referendum focused on the US State Department's goal of implementing "universal suffrage" - however, only a fifth of Hong Kong's electorate participated in the referendum, and of those that did participate, no alternative was given beyond US-backed organizations and their respective proposals to undermine Beijing. Campaigners want the public to be able to elect Hong Kong's leader, the chief executive. The Hong Kong government says the vote has no legal standing. For a protest movement that claims it stands for "democracy," implied to mean the will of the people, it has an unpopular agenda clearly rejected by the vast majority of Hong Kong's population - and is now disrupting vital parts of the island, holding the population and stability hostage to push its agenda. 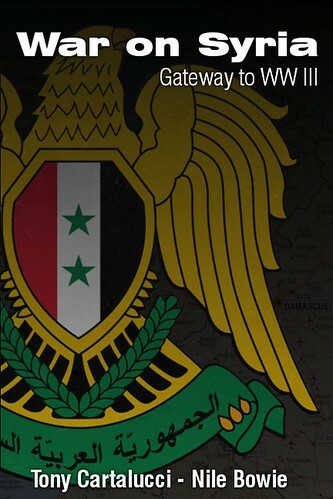 All of this is being orchestrated and supported by the United States, its State Department, and its network of global sedition operating under NED and its subsidiary NDI. 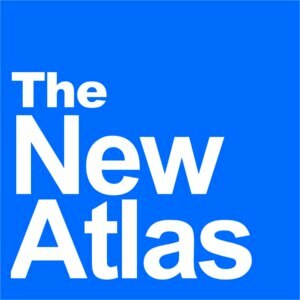 While the Western media shows mobs of "thousands" implying that "the people" support ongoing chaos in Hong Kong's streets, "Occupy Central's" own staged, illegal referendum proves it does not have the backing of the people and that its agenda is rejected both by mainland China and the people of Hong Kong. Exposing the insidious, disingenuous, foreign-driven nature of "Occupy Central" is important. It is also important to objectively examine each and every protest that springs up around the world. Superficiality cannot "link" one movement to another, one group to hidden special interests. Rather, one must adhere to due diligence in identifying and profiling the leaders, following the money, identifying their true motivations, and documenting their links to special interests within or beyond the borders of the nation the protests are taking place in. By doing this, movements like "Occupy Central" can be exposed, blunted, and rolled over before the destruction and chaos other US-backed destabilization efforts have exacted elsewhere - namely the Middle East and Ukraine - can unfold in Hong Kong.